Over the past four years, many operators sought to boost the efficiency of existing upstream facilities as they scaled back on new projects. 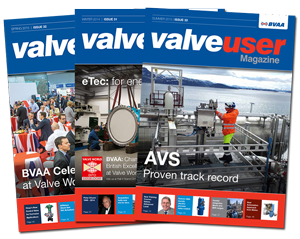 Severn�s advanced valve engineering services are a critical enabler in this scenario. Optimising valve population performance and applying bespoke, intelligence-led solutions to individual problem valves can drive significant improvements in reliability and productivity. Severn invested heavily in its established plant capabilities from 2009-2014, opening purpose-built facilities in Brighouse, extending its global footprint and building on its world-class engineering team. This enabled the business to respond quickly to the shifting priorities of operators post-2014, maximising opportunities and driving exponential growth. The Aberdeen market continues to play a major role in Severn�s business. Alongside the uptake in offshore control and choke valve management and upgrade programmes, its isolation valve supply business Severn Ball Valves has also performed well in securing and the ongoing management of 5 operators assets for isolation valves and actuation. The large stockholding, testing and machining capabilities within Aberdeen has seen Severn be able to support operators on short lead time deliveries in critical shutdown periods. In fact, 2017 was this division�s best ever year, something divisional MD Brian Wood attributes to industry knowledge and high levels of customer service. Severn Ball Valves have also successfully transitioned to the ISO 9001 & 14001:2015 standards as well as achieving accreditation under OHSAS 18001 and continued improvement under FPAL �Verification� within the last twelve months. From 1 September 2018, Severn Ball Valves will begin trading as Severn Glocon Aberdeen, to better reflect the scope and scale of the engineering services it offers across mechanical valves as well as isolation valves. Just ahead of the oil price crash, Severn launched its Severn Valve Solutions (SVS) business model. It�s rooted in progressive nurturing of local valve engineering skills in production markets that have suffered from lack of investment. And it involves a strategic blend of Severn�s advanced valve engineering expertise with infrastructure support from national partner organisations. SVS� ventures in Iraq continue to excel, meeting targets for developing the skills of local engineers while driving performance improvements for organisations including Basra Gas Company. Kazakhstan operation BorkitSG recently acquired two major longterm maintenance, repair and operations contracts. Furthermore, a new SVS business, GenesisSG, has been launched in Ghana to boost plant performance and upskill local workers as the country seeks to ramp-up production in a bid for energy independence. As Severn�s international operations continue to develop, fostering ongoing collaboration across global engineering centres is paramount. A recent forum saw engineers from Gloucester, Brighouse and Chennai meeting in India for four days of teambuilding, planning and information sharing. As signs of recovery become apparent in the new projects space, this event has left the global engineering team re-energised, focused and ready for action. To celebrate the relaunch of Severn Ball Valves as Severn Glocon Aberdeen, we�re hosting a two-day series of technical workshops in Aberdeen, from the 3rd � 4th October 2018 at the Hilton Treetops Hotel, for more information please visit our website.